Four years have passed and while many of the other titles and editions have seen special attention and revision – the Liber R materials remained as they were originally collected, a monumental literary contribution forged from many countless hours spent preparing essays and delivering the lectures meant to ‘close’ the cycle known first as the ‘Mardukite Core’ and now to the world as the ‘Necronomicon Anunnaki Legacy’. and students of the Year-1 materials, now available in the Necronomicon Anunnaki Bible anthology, the complimentary Year-2 research and development that completed the core was finalized with the release of Necronomicon Revelations: Unveiling the Great Deception of Aliens, Gods and Men in limited edition hardcovers exclusively to the Mardukite Research team known as the Chamberlains. The release of Liber R coincided with additional changes that were taking place at the in-house publishing press of the Mardukites – the Truth Seeker Press overseen by the division of the Mardukite Ministries known internally as the Council of Nabu-Tutu. the rising interest in Mardukite work. Since this transition took place, the Liber R edition that has reached international acclaim has remained unchanged. …and so they do certainly go together: Liber 555, available as Necronomicon for Beginners or the original Mardukite Heritage edition titled Stargate to the Abyss. Although portions of this later text are now included in this revised edition of Necronomicon Revelations, the practicality offered in the later text cannot be duplicated as the main tenet of each work is unique but complimentary. 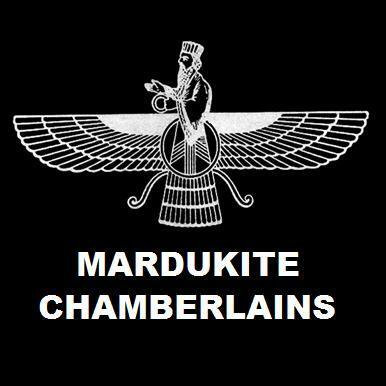 Following the modern inception of a Mardukite movement, or perhaps the next phase of the New Babylon movement that was officially instigated by MARDUK and the Anunnaki even more strongly in the 1970’s than ever before in the recent past, a strong insurgence toward this ideal has begun to sprout up in all forms of media since the founding of our public identity in 2008. The seeds of this effort had been planted prior and now they appear to have infiltrated the world. Necronomicon Revelations boils the heart and soul of the magical revival down in such a way that has never before been so critically valid and important for the continued existence of beings on this planet. The nature of what beings still remains to be seen.